From installing new doors to emergency repairs. Contact us anyday, anytime to have the nearest technician arrive ASAP. 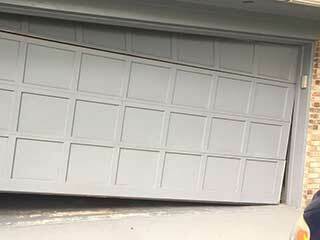 A jammed garage door is not an uncommon problem, and it’s very different from one that opens or closes halfway. As unfortunate as it is, a stuck door showing no signs of motion means it most likely requires professional attention - here are the top three reasons why the problem happened in the first place. Oftentimes, the system won't lift the door or close it down if there is an obstruction on the track - this can be anything from a broom to a pebble. By simply locating and removing the object in the way, you'll clear up the path on the track and the door should stop being lodged. To check if your spring is causing the problem, you first need to identify the type your system utilizes. If your springs are placed horizontally above the door, then we're talking about torsion springs. With these, you're looking for a gap between the spring which signals breakage. Another popular type are extension springs, located at either side of the door. Check if there's a piece of them hanging, this will also confirm your fears. In an event you're facing a broken or worn spring which impedes your mechanisms operation, the important thing to keep in mind is not to attempt the replacement by yourself. It can be very dangerous to do so, especially if you've never done it before. We see plenty of doors that went off track because of a broken, chipped, or cracked roller. Homeowners tend to forget these get damaged over time too and could very well jam the door when it happens. Replacing the rollers is usually the easiest and most efficient way forward. Whatever the reason behind your jammed door, don't panic. Maybe you're overlooking something minor; for example, you might've locked the door by mistake via a system that some newer models feature. 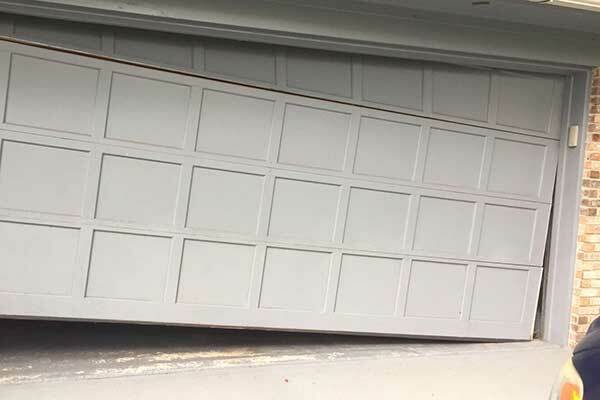 Remember not to try and repair the issue on your own and have your garage door inspected and maintained regularly to prevent the problem from occurring in the first place. Why is The Garage Door Not Closing Fully? What Are Garage Doors Made Of? Garage Door Repair Natick has over a decade's worth of experience and a vast range of new overhead door and automatic opener models to offer you. Apart from installing new products, emergency repairs and through maintenance are also within our purview. From broken spring repairs to troubleshooting an opener that makes noise or won’t run to completely realigning and straightening bent tracks and worn rollers. Whatever type of garage door service you need, a local expert is available to help you whether you live in near Natick or somewhere else close by. Services available Sunday through Saturday. Get the help you need on the same day you need it. Our technician will contact you before arriving. Until then, feel free to browse our website! Garage Door Repair Natick is at your service!